Sacroiliac joint tightness describes abnormally high tension in the SI joint, but falling short of a fused joint. Technically, hypomobility is still the correct diagnosis for an excessively tight sacroiliac, but being that the SI has a very small range of motion to begin with, hypomobility is rarely pronounced unless the joint is basically organically fused or completely immobile due to soft tissue problems. Tightness in the SI joint is a very subjective and non-medical diagnosis. Many patients are told by chiropractors or massage therapists that their SI joint is tight or inflexible, but this might not be anything out of the ordinary for these particular patients. It is vital to remember that the range of motion in the sacroiliac differs from person to person, and with an accepted range of 2 to 18 degrees, the discrepancy of ROM from person to person can be incredibly significant. 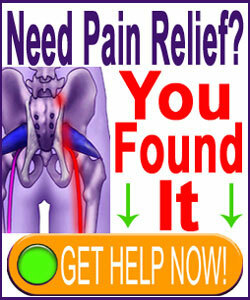 This essay clarifies the idea of suffering from a tight sacroiliac joint. We will define the condition and look at why it might exist. Finally, we will explain some effective therapy options to relieve SIJ tightness. Tightness is a very subjective term. The joint might feel tight to the patient, but this is certainly a perception, since people rarely can discern any movement at all in the SI joint. The joint might feel tight to a caregiver, but once again this is very subjective, since the joint rarely moves much and the normal ROM for the sacroiliac is narrow for comparative purposes. Tightness is best experienced when the joint is truly hypomobile, meaning that it will barely move or objectively will not move at all. In some instances, hypomobile joints might be organically-fused due to various reasons, while in others, the ligaments or muscles surrounding the joint have veritably adhered the pelvis to the ilium in a death grip of tension. Care providers are cautioned that diagnostic terms like tightness are not scientific or really descriptive of a particular condition. These terms can set the stage for the nocebo effect and can commence or worsen mindbody pain syndromes. Tightness in the sacroiliac joint is virtually always a result of ligament tension caused by one or more of the numerous connective tissues of the joint. Ligament tension might result from injury or may be a very rare reaction to multiple pregnancies, obesity or former hypermobility of the joint. Ligament tension as the sole source of SIJ pain is a controversial theory of causation. When the joint is completely frozen and fused, there can be many underlying causes including sacroiliitis, extreme osteoarthritis, rheumatoid arthritis, ankylosing spondylitis and other possible origins. Mindbody syndromes can also make the joint appear to be tight and certainly feel tight, even when no ROM abnormality exists. 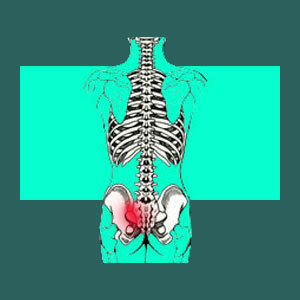 Proper treatment for any sacroiliac diagnosis relies 100% on the nature of the causative process. For ligament concerns of all types, cures can almost always be enacted through proper exercise and stretches that slowly and progressively mobilize the joint. Massage, chiropractic and diathermy techniques can speed joint release for many patients. For joint fusions and structurally-based skeletal hypomobility, exercise is unlikely to provide good results and might be incredibly painful for the patient. Instead, the only universal treatment path is fusing the joint using surgical interventions in an attempt to re-balance it and stabilize the tissues in a more anatomically-neutral position. While this type of sacroiliac fusion surgery is also controversial, it at least seeks to address the causative mechanism for pain, rather than simply treat the symptoms using drugs, manipulation or exercise that rarely works for these types of conditions.